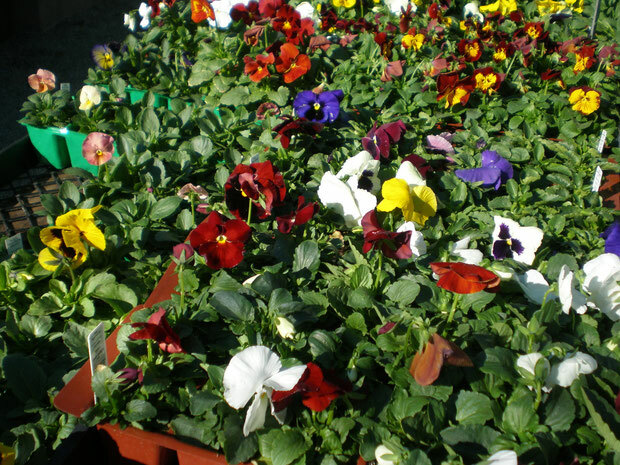 If you need some winter color to spice up those flower beds or tired pots, you can't beat pansies! They pop up and nod their cute little heads, even when we have our occasional nights down in the lower 20s. The other great thing about pansies is the sheer variety of colors available. They come in everything from blues and purples to yellow, red, and orange. They are for full sun, but keep in mind that's only through fall and winter. They're an annual here, so once it gets really hot, your pansies will die off. But I just can't hold that against them! 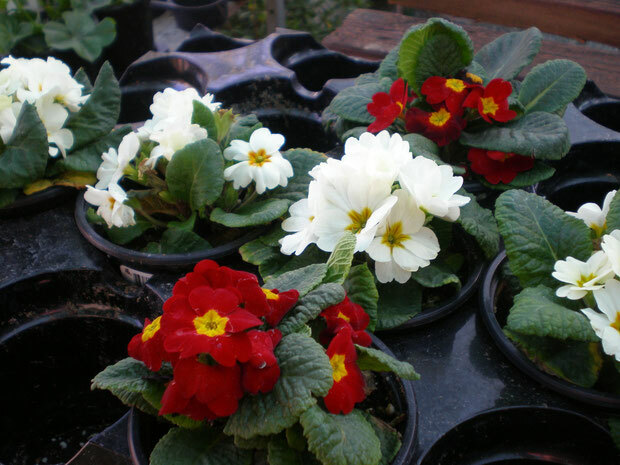 Ahhh, the lovely primrose. This is one of my personal favorites, because they surprised me. Although sold as an annual, I have some in a nice shady location that are 2 years old, and still looking great! 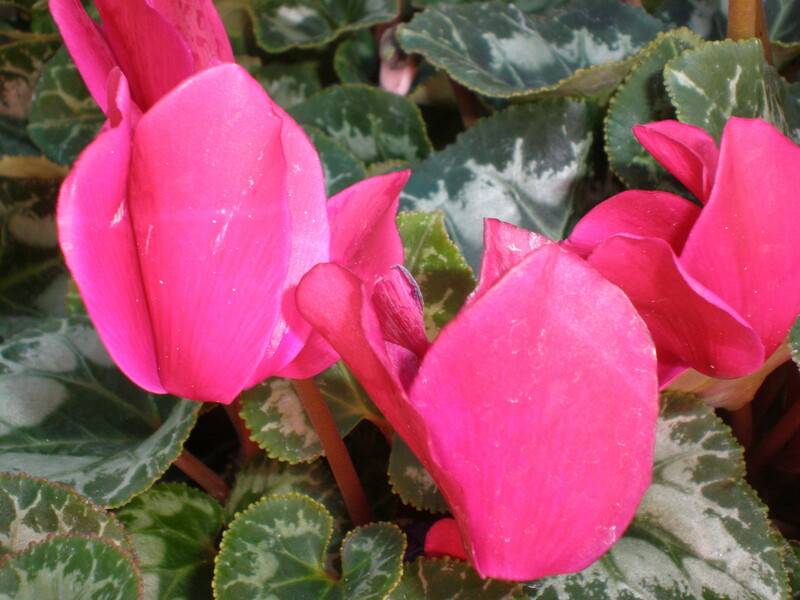 Like pansies, they are available in many brilliant colors, and they bloom throughout winter and spring. 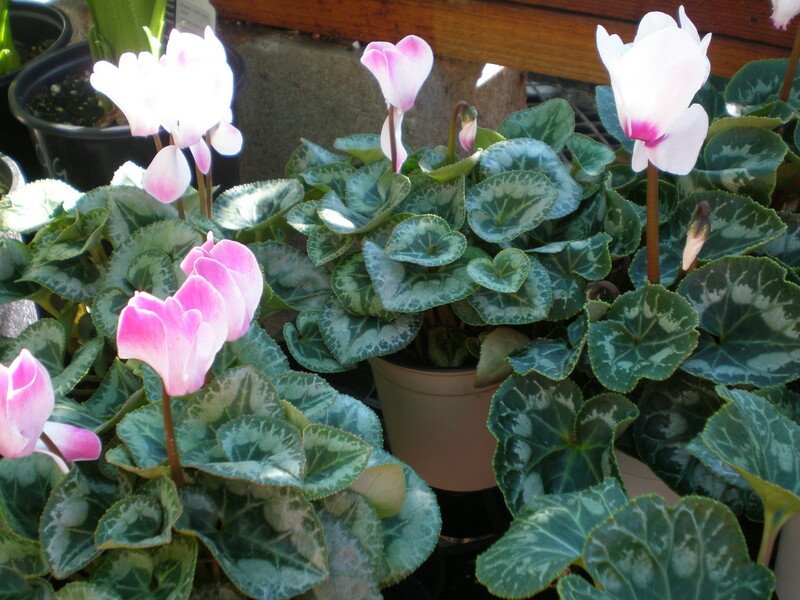 Be sure to keep them in shade, and it's possible they will live through the summer too. We do have some blooming ones still available that would make great gifts! 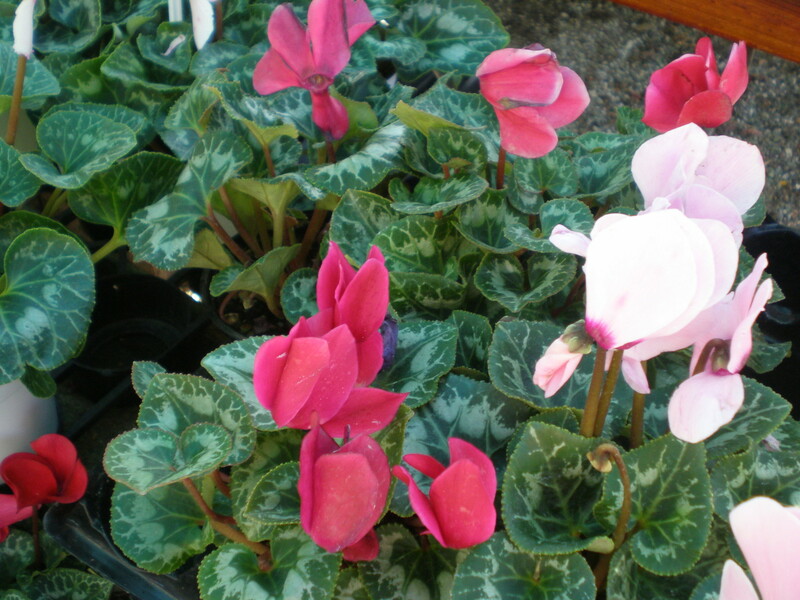 Cyclamen are another great blooming gift plant at this time of year, and like all the aforementioned plants, can be used in the landscape outdoors here in Hemet and won't freeze up on you. 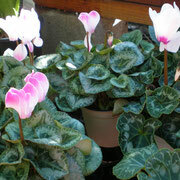 The important thing with cyclamen is to keep them in the shade, especially during summer. They will not take our intense Hemet sun. 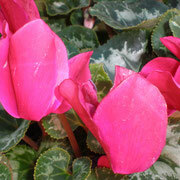 They are perennial, and will start blooming in fall and don't stop until March or April. Stock is my other favorite winter annual! 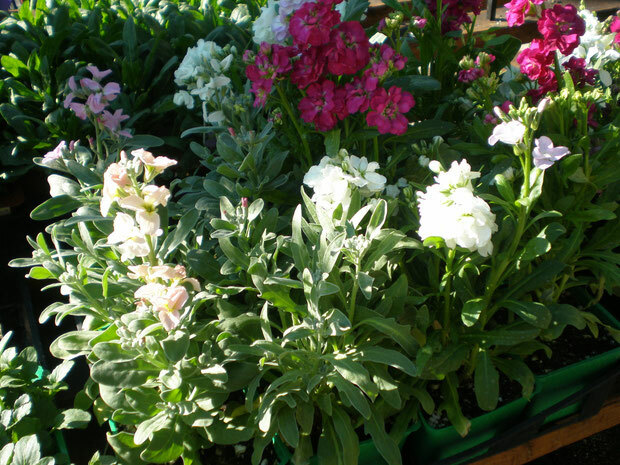 The blooms are beautiful, and they have a delightful scent that is reminiscent of carnations. 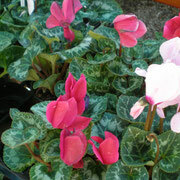 Great in pots, or grown behind other shorter annuals or perennials. Camellias....what can I say about them? They are one of my favorite plants in my yard. 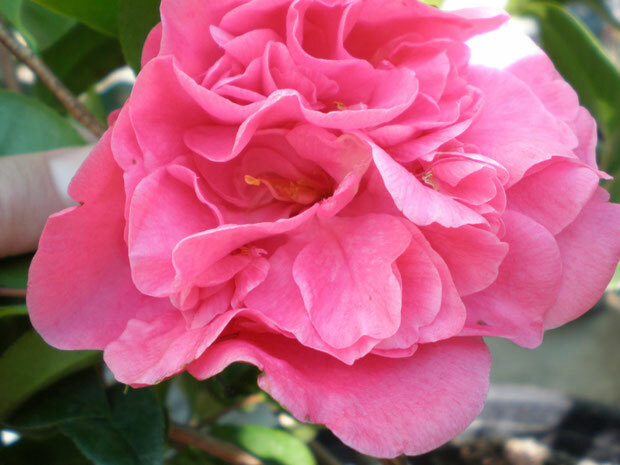 If you have a spot that is shaded in the afternoon, camellias will reward you with glossy green leaves year-round, and gorgeous blooms during the winter months. They are a long-lived shrub that can reach 6-10 feet tall unchecked. However, it is very easy to keep them shorter by simply topping them once a year. They don't grow very fast, so they are also well suited to containers. 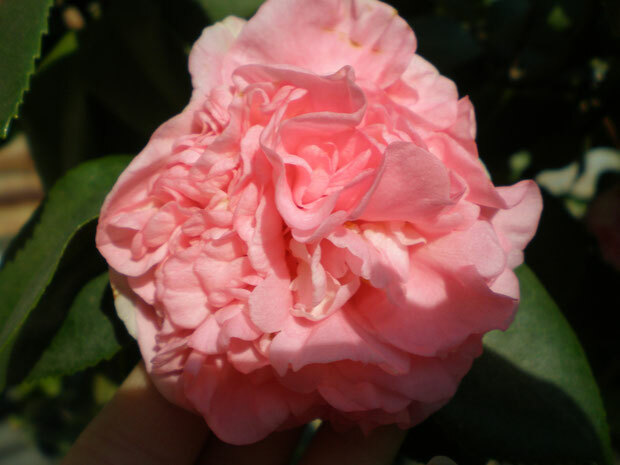 They like acid soil, so I recommend fertilizing with a specific camellia/azalea food (such as the Master Nursery Camellia & Azalea food we sell here). 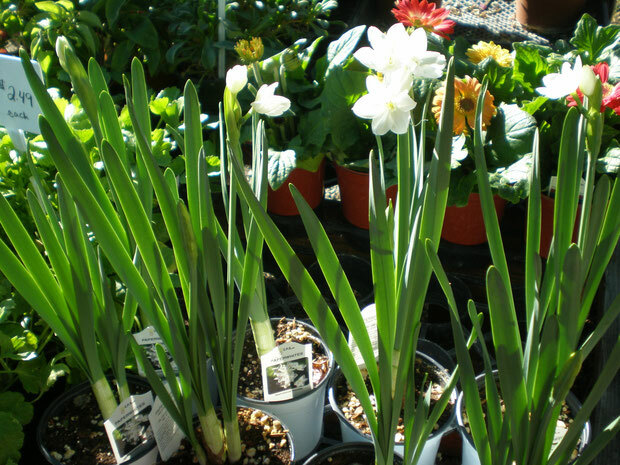 Another ever-popular gift plant, paperwhites come up and bloom every winter, then once spring arrives, they go back to sleep until next year. They are very low maintenance, and look good below trees, perhaps where you also have some daffodil bulbs, or other bulbs which come up later in spring.